Here are the steps to print a confirmation page. 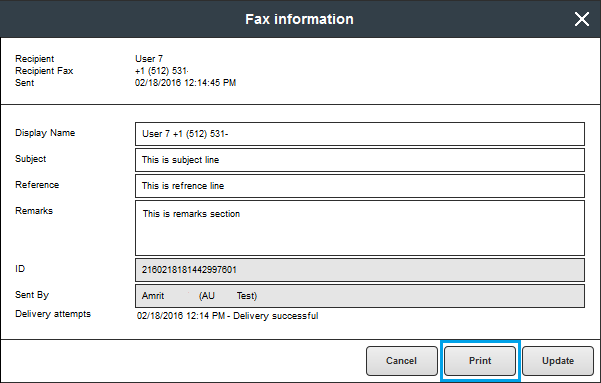 After you have signed into your account you will need to browse to your “Sent” faxes and then select the fax that you would like to print a confirmation page for. Once selected then click the “Information” icon. After you have selected the “Information” icon you will be presented with the information of the fax and the option to Print the confirmation page. You will then be able to select your printer and print out your confirmation page. Here is an example of how the printed confirmation page will appear when printed.